My soil test results are back. This is the one I had done on the back field we are preparing to plant to pasture. Actually it's the second test I had done on that field. The first was done by our state cooperative extension service last August. I've always had all our soil testing done by the state, until I started reading Neal Kinsey's book, Hands-On Agronomy: Understanding Soil Fertility & Fertilizer Use. When I learned about his Agricultural Testing Service, I decided to get a second soil test. The two test results aren't the same for a couple of reasons. One is that the samples were taken 8 months apart, the second being after we'd scraped away the saplings and vines that were taking over the field. Much of the topsoil was scraped away as well, so we expected the results to be much worse. In reading Mr. Kinsey's book I've also learned that there are different methods of doing soil tests, and that the results can be measured differently too. Even so, I can't help but compare, especially the recommendations. So for my benefit mostly, but also for anyone else who's interested, here's a look at the two tests. The test from the cooperative extension service was inexpensive. It varies from state to state, but mine one was about $7 for a basic test. There were several pages for which a link was emailed to me. I captured them with the PrtScr button ("print screen" which in Ubuntu brings up "save screenshot"). Also included was access to a free pdf file called "Understanding Your Soil Test Results." This doesn't tell me very much. It give me a basic definition of soil pH, briefly mentions nutrients in a broad sense, and explains what their self-explanatory ratings mean. The Kinsey Ag Services test was much more expensive, $50 for the basic test, plus I requested an additional test for cobalt, which was another $15. Cobalt is important though, because ruminants need it to synthesize their vitamin B12. To understand the test, I really need Neal Kinsey's book, Hands-On Agronomy, Written primarily for the farmer, this book is not what I'd call over my head, but I have no experiential knowledge to follow along without pondering what I'm reading. Still, it's an invaluable resource. The state test covers soil pH, buffer pH, CEC (cation exchange capacity, which I'll try to explain below), phosphorous, potash (potassium), calcium, and a panel of minerals. It does not tell me how much nitrogen is in the soil, and in fact the "Understanding Your Soil Test Results" tells me that nitrogen testing isn't recommended because soil nitrogen is so elusive. That would be a separate test at an additional cost. Results are given in pounds per acre, along with a colorful bar graph for an "at a glance" idea of basic soil health. 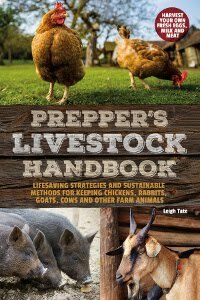 "Understanding Your Soil Test Results" also tells me my state has no established levels for copper and sodium, which is a concern because copper deficiency is common in goats and too much or too little can be fatal. The KAS report tells me my soil sample pH, Total Exchange Capacity (TEC, also explained below), humus content, and target calcium / magnesium percentages. I also get a base saturation of calcium, magnesium, potassium, and sodium. Nutrients and micronutrients are divided into anions (nitrogen, sulfate, & phosphates), cations (calcium, magnesium, potassium, & sodium), and traces (manganese, boron, iron, copper, zinc, & cobalt at my request). For each I'm told the desired value, the value found, and the deficit or surplus. The state recommendations to correct my soil are specific for what I want to plant, in this case, pasture. Amounts needed are reported in pounds per acre. Recommendations are for the dolomitic limestone I need to adjust pH, and how much chemical fertilizer I need for nitrogen (even though they didn't test for it??? ), phosphorous, and potassium. No recommendations are made for the minerals. The Kinsey recommendations are also specific to what I want to plant. These are given as "organics," which I requested. Since I have a half acre field, these are in pounds per acre. However, I could requested these in lbs per 1000 sq. ft, or Kg per hectare. I could have also chosen from several categories of recommendations: excellent, building, maintenance, or minimum input. I held my breath and requested to know what I'd need to bring my soil to excellent condition. If you look closely at the KAS report, the recommendations are specific. Note that not all deficiencies appear to be addressed (potassium for example), and that for magnesium, I'm given two additives. This is because the Sul-Po-Mag contains sulfur and potassium as well as magnesium. This will address my potassium deficit and part of the magnesium my soil needs. The magnesium sulfate will make up the remaining magnesium deficit. 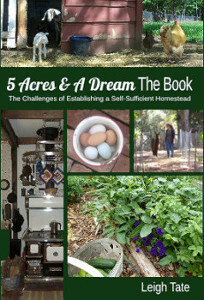 The goal is a balanced soil, and that's what the recommendations give me. I mentioned why the results won't be the same (note the differences in the percentages of calcium and magnesium), but I'd still like to hit a few highlights here, to compare these two tests. The first thing I zero in on, is soil pH, and calcium and magnesium levels. The state lab tells me my soil pH is 5.4 with a buffer pH of 7.55. Unfortunately it doesn't explain to me what a buffer pH is. After a little online research, I learn this is a lab value for recommending the amount of lime I need and has no practical use to me. 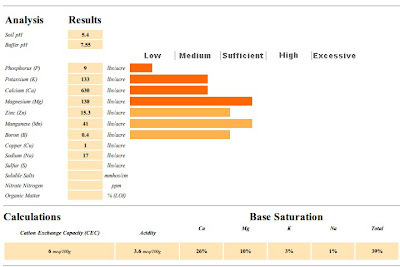 The Kinsey report gives only the soil pH, which it reports as 6.1. That one's not so bad. Because of what we did to the land I'm not expecting the two reports to be the same, but what was of interest, was the following statements from each service. "Any nutrient required takes precedence over pH. This means you supply the deficient nutrients first, and when you finish balancing the nutrients, the pH will be right." Neal Kinsey, Hands-On Agronomy. Do you notice the fundamental philosophical difference here? I know that too high or low a soil pH renders minerals inaccessible. But I also know that they have to be present in the soil in the first place. If they've been used up or washed away, then correcting the soil pH won't help. In that case, I need to add soil minerals as well as correct pH. CEC (state test) is cation exchange capacity, while TEC (Kinsey Ag) is total exchange capacity. Basically these have to do with the chemistry of the soil and indicate how well it can attract, retain, and exchange available nutrients in the soil. It measures the number of "exchange sites" that are available for cations in the soil. According to Neal Kinsey, the CEC is less specific, and varies from lab to lab. Some labs measure all available cations, others measure only some. KAS uses "total" to indicate that they measure all available cations in the soil sample. Both tests give me a base saturation percent. This tells me to what percent the exchange sites in my soil are occupied by cations. The results for both this and the exchange capacity are very different on the two reports. Considering the amount of time between the two tests and what we did to the soil, I am not surprised but assume that the most recent test would be more accurate. I don't get this from the state test, but KAS tells me my humus content is 2.2% Textbook ideal is considered to be 5%. Considering that we scraped most of our topsoil away, my results are better than I expected. None really, except that I'm glad I had the KAS test done and will follow it's recommendations. Still, two problems present themselves that are worth mentioning. The first problem I'm having is in finding natural soil additives rather than chemical fertilizers. I would have thought this would have been fairly easy, considering how many folks prefer organic gardening. The only additives I'm able to find locally are the small, 3 lb packages from Miracle-Gro. That might be okay of I had a 10 by 20 foot garden, but I've got half an acre to address. I did find this website, Fertrell, which manufactures natural soil amendments in 50 lb bags, but no one nearby carries these, including the recommended Fertrell dealer I found on their website. Direct shipping on the weight I need would knock the cost out of the box! The second problem, is that I don't think I could afford this testing for my vegetable garden, especially since I'm switched to permanent beds, where my addition of compost, bone meal, and blood meal varies from bed to bed. The results of the test are only as accurate as the soil sample. Mixing all the bed soils would not give me accurate results. Anybody still reading? Can't blame you if you aren't, LOL. Folks like to get "the dirt" on somebody, but the dirt on dirt? Not quite as interesting I think. Leigh, I use www.dirtworks.net if you get enough inputs, you can organize trucking. It is the only place I could find bone char and greeensand. They get what we are all about. It's fascinating to see your results but I'm a bit surprised that they recommend adjusting your soil's nitrogen with chemical fertilisers. Wouldn't it be far cheaper and a bit better for the environment to just chuck a layer of manure over your land? That will certainly help with the humus percentage as well. It is interesting. As well as the science behind it, it's interesting to see the differences between commercial agricultural practices and small, organically oriented practices. It does sound like an expensive proposition to test all the growing areas. Tanya, it's a shame, isn't it? But then our state is fully sold over to commercial farming and agribiz. They seem to assume that most folks want to grow lawns and flowers. Kinsey Ag is all about balanced soils, so at least the recommendations are for organics in measured quantities. If using manure, they recommend that it be tested first because not all manures are equal. An animal grazing on a nutrient rich soil will have nutrient rich manure. An animal fed on a nitrogen starved pasture, will obviously have less nitrogen in the manure. Nina, it is interesting and you'd think a state university would know this stuff. Actually, Neal Kinsey says he didn't learn it at university, but from retired professor William A. Albrecht. Prof Albrecht held private classes for interested students, of which Mr. Kinsey was one. Sadly, Mr. Albrecht was canned when a large chemical company gave a significant donation to the university he taught at. Bettina, I might as well be in Ireland! I did find someone only 133 miles away who is willing to order it. A closer nursery (57 miles) said they would, but hasn't been answering my emails so I guess they changed their minds. I don't have animals, so I have never thought to test the soil. I have wondered about the growing conditions for particular plants (like blueberries). I do know that my soil isn't very great (it looks like dust for a few months of the year) but I just keep adding manure and compost wherever I can and mulch and hope for the best. I had to laugh at your comment about "is anyone still reading". My husband thinks I am a little cookoo because I think the rows of dirt pre-planting look "pretty". Maybe you could contact a grower of organic food and find what they use on their land...I would think that they would need large quantities of whatever you are needing for your earth. Sunnybrook, thanks! Some of us find this stuff fascinating and I'm glad to be in good company. I agree about testing as able. I think that's what we'll have to do. I'll be reading the post you mention soon. Sounds like a good one. Natalie, how funny but I'm with you! Neal Kinsey actually recommends having your compost and manure tested as well as the soil. He sited one case where a large scale producer had actually over-manured and caused a mineral imbalance in their soil. Even so, I do the same in our vegetable garden. Sherri, that's a good idea. In fact Dan and I were discussing that. Trouble is, there aren't many organic growers in our area. Maybe though, we could team up for an order if others are interested. At a great class called 'The New Farmers Workshop', I learned a lot about soil testing. The Austin area is booming with wannabe small organic farmers so this is big stuff here. The soil in Central Texas apparently has special issues and all the experienced farmers giving the talks recommended a specific lab to have your soil tested because our soil can be tricky to figure out what to add, etc. So keep in mind, for your particular area, there may be one lab that is better, or more knowledgeable, about the type of soil you have. Do you have nearby organic producers? They might be able to shed some light on the differences between the two tests, or even recommend a third one! Leigh, I too laughed at the is anyone still reading comment. All the information about the "dirt" was interesting, although to be truthful I don't always understand all of it. Actually, I found all of this very interesting. I wonder how old-time farmers were able to do this without these tests. I remember my grandfather feeling the soil with his fingers, smelling it and tasting it before deciding if lime or whatever was needed. I assume he learned from his father. Actually pretty fascinating. I always wondered if he was right or if it was just luck that everything seemed to grow just fine. Got an idea for you. I'll contact you via email. I'm a city girl, so to me, Dirt is Dirt. Obviously it really isn't! I'm glad you had the analyses done - good luck with finding the organic amendments you need. I think this stuff is fascinating. Keep the info coming! Again, I just love your steady, measured approach. I agree with Benita -- don't know how my father did it either, but it is interesting to learn about and I appreciate that you take the time to help educate all of us reading! Marissa, I so wish something like that would happen here too. It's hard to network in a community that doesn't' exist! I don't know of any organic farmers nearby, but I will definitely research that. There must be some resources somewhere. Jasmine is doing okay, but I'm concerned about whether or not the leg will heal properly. Sometimes it looks okay, sometimes it's at a funny angle. With all the getting up and down she does, I can't imagine the bone will be able to knit together properly. At least she isn't in pain and her appetite is good. She enjoys the special laundry basketsful I bring her of weeds! FFG, you've got me curious! Debbie, I used to think the same thing about dirt. It's been fascinating to learn about it. Badgerpendous, sure thing! They say the best way to learn is to "teach". Just trying to explain something in my own words really helps me a lot. Jean, thanks for the blog addy! I think those who went before were more in tune with their soils because of years of experience. They observed and put the clues together. That's almost a lost art today. Even though this post is about your soil test, which is exciting to read about (yes, we do get excited about dirt stats! LOL), It was very informative about the processes of going through other's services and actually reading the tests. I have always done soil and water analysis tests myself with 'home kits' and they just don't give as much info. Thank you for posting! Donna, there is so much to learn! I'm glad it was useful to you. I hope you'll blog about yours; I'd really like to hear how another test goes for someone else. Lunalupis, I've been tempted to do one of those home soil test, but after reading Neal's book, could really see the value of an in depth test. Hopefully we can follow through with most of it and I can retest next year. That will be interesting! Julene, yes, I've been contacting some growers in the area. So far they've only pointed me toward websites that might be possibilities. No one has offered to include mine in their order. Not sure all of them actually use this approach though. A lot of organic growers just rely on manure and mulch. Jaime, it's true green manure can add a lot. Our biggest problem is that we don't have a farm tractor to do the plowing and tilling, and it's too much to do with a hand tiller (we've burned them up in the past doing this very thing!). The other consideration is that if the soil doesn't contain a nutrient, the plant can't necessarily add it. The plants need a source as well. 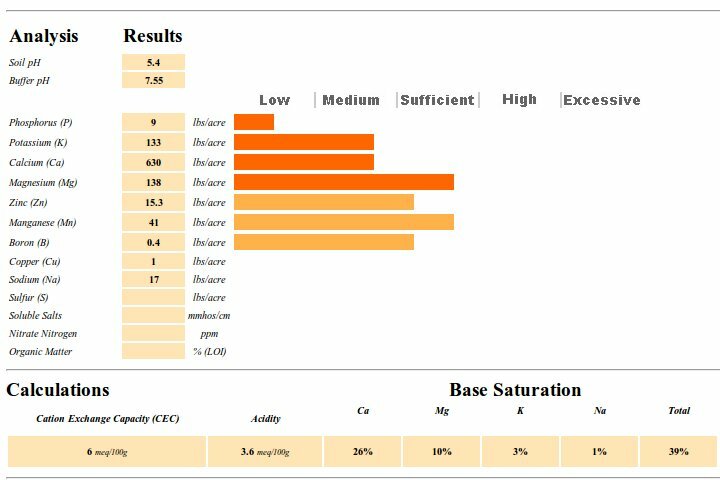 I got two tests from Logan Labs, recommended by soilminerals.com, $20 each. I tested my native sand, which unsurprisingly was pretty devoid of minerals. I think I figured out why- the winds here are obnoxious. Blows my soils away. My garden boxes are pure manure compost and were only a little low in Calcium. Which was enough to bring on the tomato hornworms. I added gypsum, for the calcium (and a little sulfur wouldnt hurt) as my magnesium was 15%. The next year I added dolomite (Ca/Mg) and searched for limestone as I had just read about limestone in Epigenetics, containing 60 minerals, as Joel Wallach points out is utilized by the Hunzas, who drink it as "glacial milk" and irrigate their crops with it. They live to be over 100. When i added Gypsum, my tomatoes recovered. Te next year I had a few hornworms, and they didnt devastate the plants like they did te first year I ad them. The plants did pretty well with dolomite, but wen I added the limestone, everything flourished. Jump in growth, production, and NO tomato hornworms. NONE. Lots of grasshoppers, who chose to not eat my other plants. I don't know what they were eating because I didn't even see bites on the weeds. Spread limestone all over the pasture, got great growth everywhere this spring. Interesting! You are so right about wind eroding soil by blowing it away. Such a fascinating subject. I'll have to look up the lab and test you used. Always interested in new resources.